Lecturer in Physiotherapy at both undergaduate and postgraduate levels and Physiotherapy placement co-ordinator. 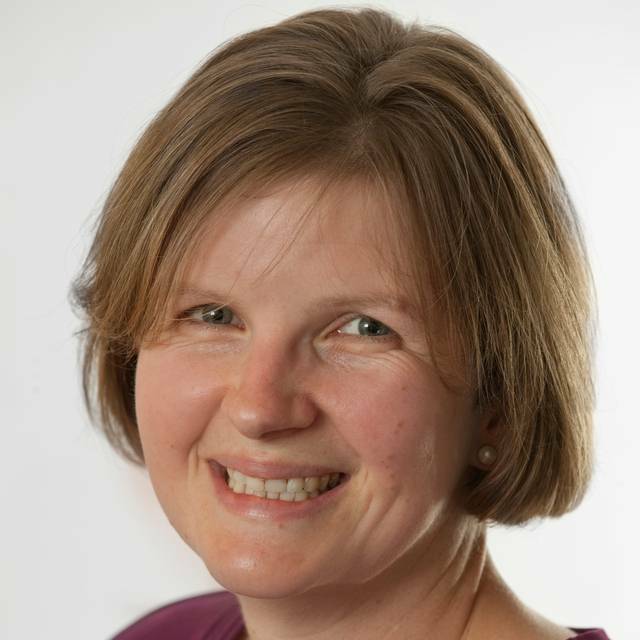 I am particularly involved with teaching of neurology, but also have expertise in other areas of clinical practice, including elderly care and falls management. I am clinical placement co-ordinator for the course. Alongside my teaching work I am actively involved in research, and completed my PhD in April 2015. My topic area is an investigation into accidental falls in multiple sclerosis. . I gained my Graduate Diploma in Physiotherapy from the Queen Elizabeth School of Physiotherapy, Birmingham in 1990. Following this I spent two years completing a rotational post where I gained clinical experience in a variety of settings covering the range of 'core' specialities in physiotherapy practice. My first senior post was specialising in medical respiratory care, including cardiac and respiratory rehabilitation proframmes, as well as working with patients in the acute stages following stroke and other neurological problems. I was appointed to teach on the Physiotherapy undergraduate degree in 2005, and have also been invoved with programme admissions. I completed my MSc in Clinical Education, Peninsula Postgraduate Health Institute in 2007, and aim to continue to develop my research and teaching skills, whilst maintaining my clinical expertise and currency. I enjoy being involved with the ongoing delivery and development of the undergraduate physiotherapy programme, particularly with the focus on the PBL approach. This allows me to utilise a variety of teaching methods and approaches, with a blend of the academic and practical work. We have previously currently undertaken a research project sponsored by CEPPL which evaluated the clinicians' perceptions of the pbl approach in clinical practice. The work makes an excellent link between my placement-related and teaching activities, and complements the ongoing programme development that we are all committed to. I am closely involved with the teaching of the adult neurology and elderly care elements of the course at both an undergraduate and postgraduate level. This includes relevant patho-physiology, anatomy, and related theory as well as ensuring that the management side of our work remains current and evidence based. The close links between this aspect of my work and my current research activity is extremely valuable in his context.